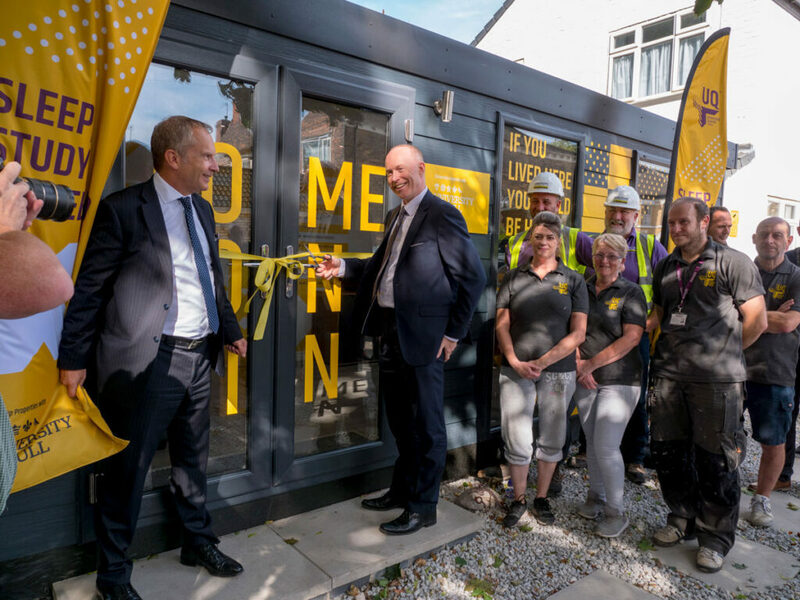 The University Quarter Housing was officially opened at a champagne reception this week by Stephen Willis, Chief Finance Officer at the University of Hull. As you can see from the pictures: we made history! The University Quarter means students are able to access the highest standards of student accommodation and support within a five-minute walk from campus. Existing rooms in Cranbrook Court and The Trees will link up with the UQ to create a dynamic social environment that’s fully protected with CCTV, security patrols and 24/7 on-site staff support. The first lot of rooms will become available in September 2019. With 1–10 bedroom properties available with en-suite rooms, you can register your interest now by visiting the University Quarter pod on Salmon Grove, just off Cranbrook Avenue. We’ve got loads of exclusive events planned for our tenants in the future, so be sure to register to get in on the action!